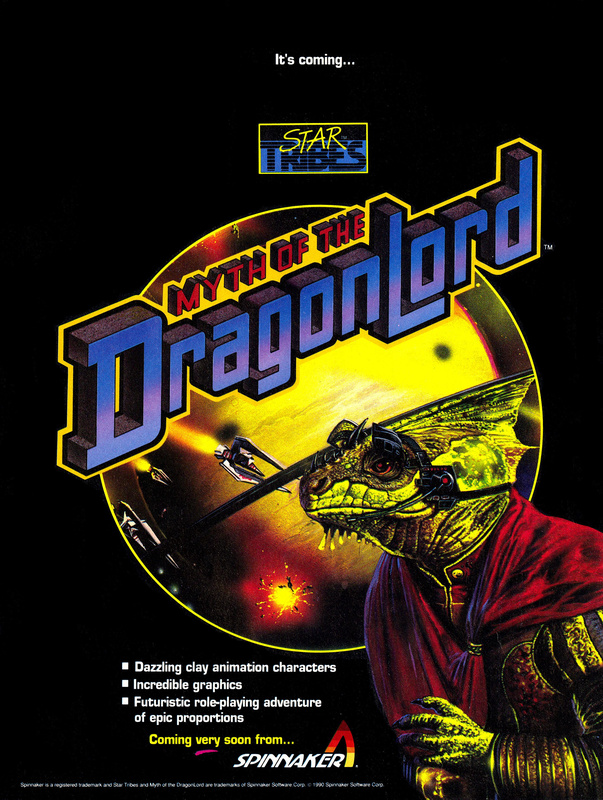 Something pretty fun happened yesterday that I wanted to share with you all: a bot on Twitter accidentally provided the clue that finally solved a 28-year-old mystery about a DOS game that never shipped. The account that @awesomonster was quoting, @gifs_bot, is actually a bot that randomly tweets out images from the GIFs Galore CD-ROM, a collection assembled and distributed by Walnut Creek CDROM way back in 1992 (coincidentally, I actually follow this account, but didn’t even notice the screenshot go by). 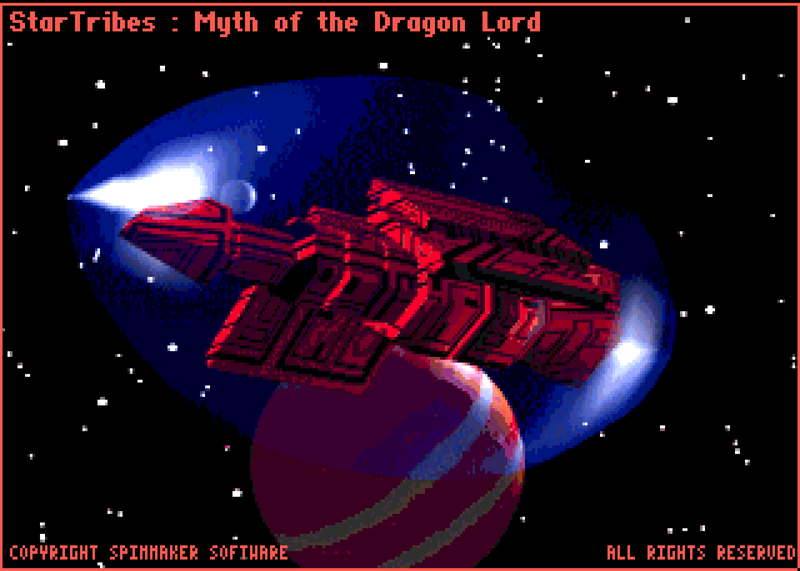 The collection seems to mostly consist of images that were shared on BBSes at the time. 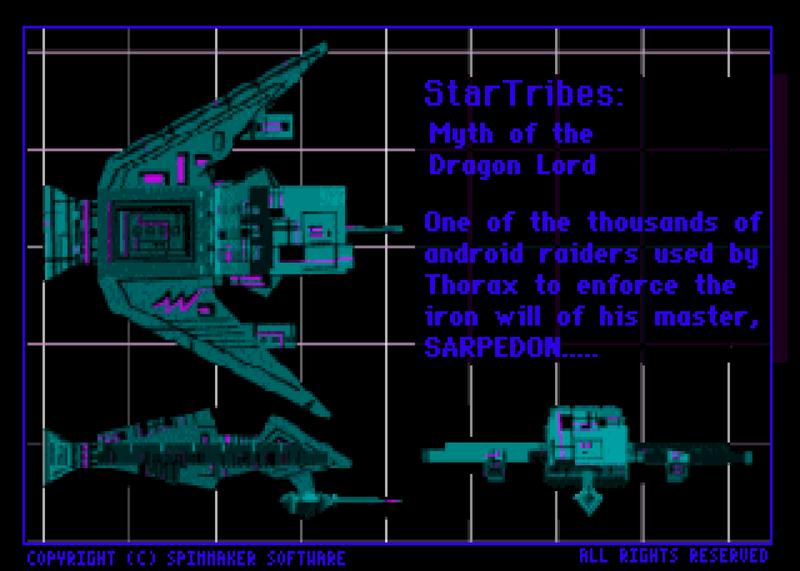 The image says it’s from a game called StarTribes: Myth of the Dragon Lord which, as @awesomonster astutely noted, seems to be an early version of what eventually became Laser Lords, a CD-i exclusive game with something of a cult following. 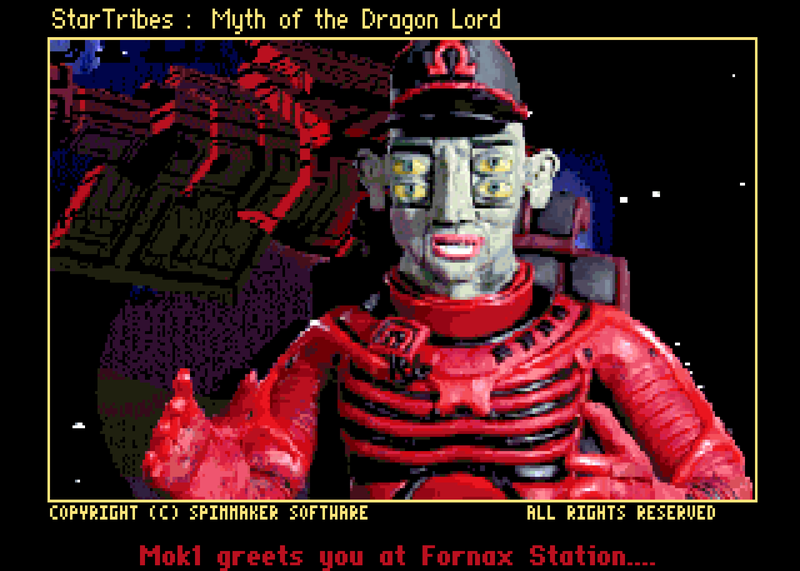 A closer examination of the disc image actually reveals three more screenshots of this never-before-seen DOS game! I love weird little discoveries like this! 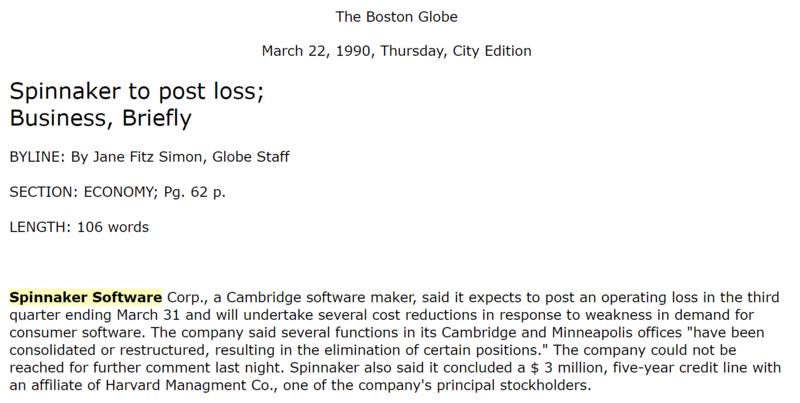 Just think, back in the early 90s Spinnaker was probably sharing screenshots of this game on early bulletin boards to drum up interest. A company who collected cool GIF art saved it and put it onto a disc in 1992, where it remained unexamined for 16 years. 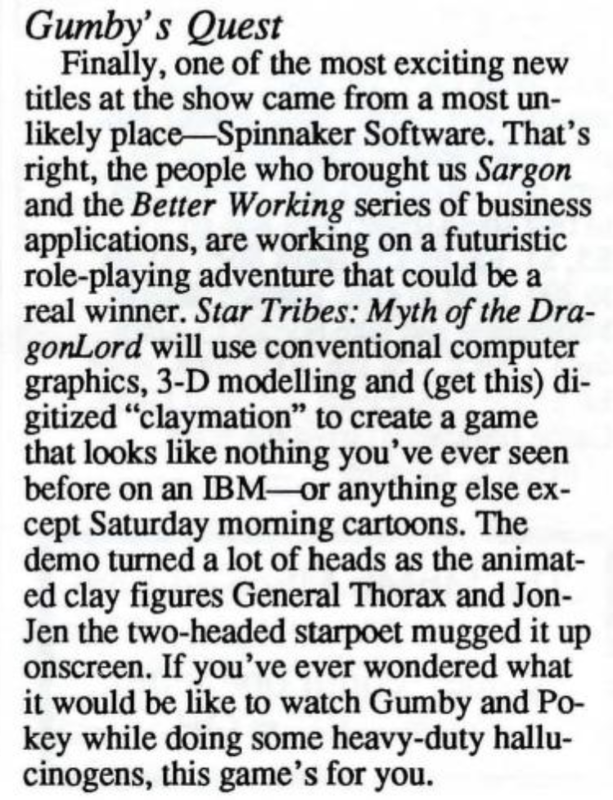 We now know that there was an early version of Laser Lords on DOS, and we also know that it is the same game as the mysterious “StarTribes” briefly advertised in magazines. 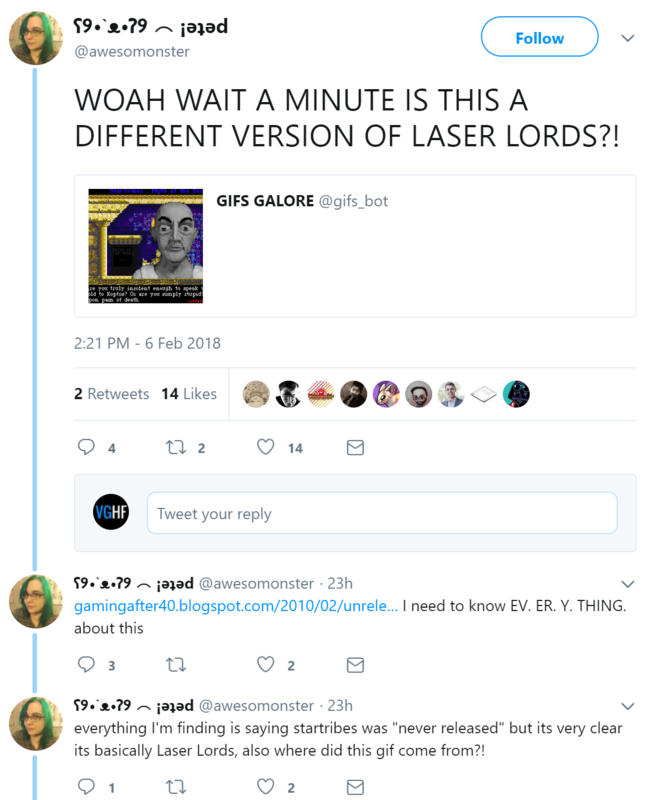 And if it wasn’t for that bot randomly tweeting the screenshot, and for an astute Laser Lords fan noticing it and digging in, that evidence might have just floated in the void forever. What’s even more fun: I dug up even more lost video game stuff from that same CD! Watch this space.